I bought this to help with my balance and for strengthening my core and it is very useful. I was really trying to find my center to improve my balance and this roam roller is what I need to do that. I practice balancing while I''m watching tv. 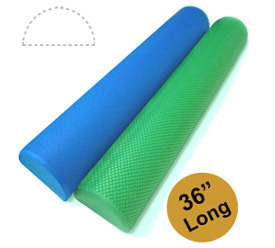 This half foam roller has excellent memory and no matter what you do to it, it regains it''s original shape.